Today I will be teaching you on how to prepare quinoa without having much difficulty. 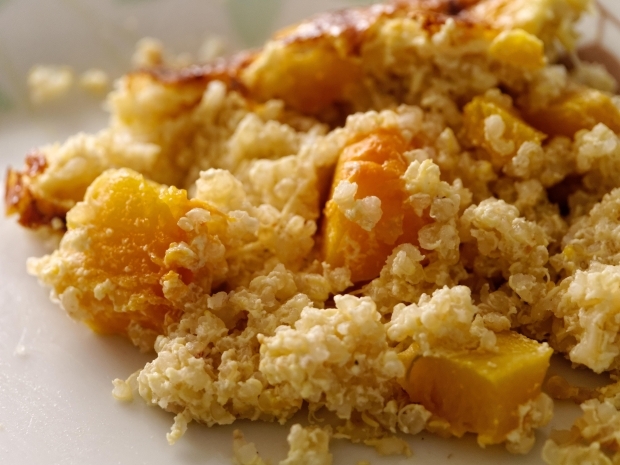 Also included are 2 awesome Quinoa recipes for you to enjoy. 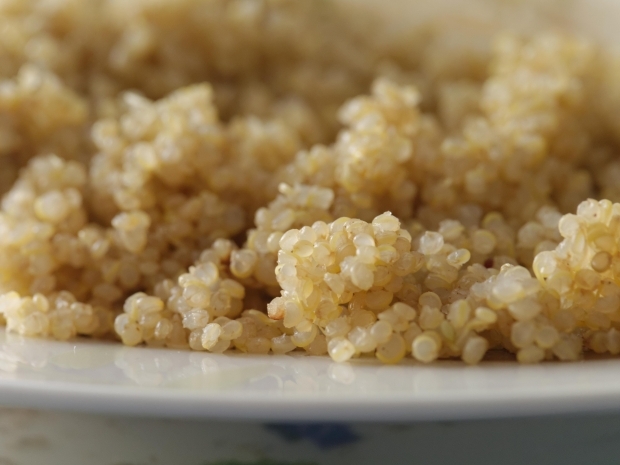 Soak your quinoa in water for at least 15 minutes and then thoroughly rinse it in a strainer under some running water. Make sure the water is running and not just sitting there, that pretty much defeats the purpose of rinsing it. By doing this you remove the saponins, which gives it a very bitter and gross taste if not removed. Now it’s time to cook the quinoa, use a ratio of somewhere between 1 – 1.75 quinoa to water in a pan of your choice on medium-high heat. Once the water is at a boil make sure you reduce the heat to low and cover and let simmer for about 10-15 minutes. During this time you can read a chapter in a book you’ve been waiting to crack open! Now the grain will become translucent and the white germ forms a visible spiral on the exterior of the quinoa grain. Once this happens remove it from the heat, and gently fluff it with a fork as you would rice. You don’t have to cook quinoa in all actuality, it can be soaked in water for several hours and rinsed and used as is. Its actually more nutritious NOT cooked rather than when it is. Now on to those yummy recipes you all have been waiting for! Drum roll please! DUN DUN DUN…..Ready set go! Mix dressing ingredients in a small bowl and set aside. Mix all other ingredients in large mixing bowl, toss with dressing, chill and serve. 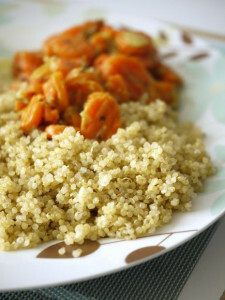 Sauté onion and carrots in butter or oil until softened a bit, toss with quinoa and parsley, serve warm or cold. Great quinoa recipes!! I would suggest that instead of cooking/simmer the quinoa for about 15 minutes, just boil water first, throw the quinoa and let it boil for about 1 minute, turn off the heat and let it cook in the steam with lid on for about 20 minutes. The quinoa, at this point, would have already cooked/ steamed in its own water, rather than keep boiling a low temperature, This way it conserves more nutritional value.